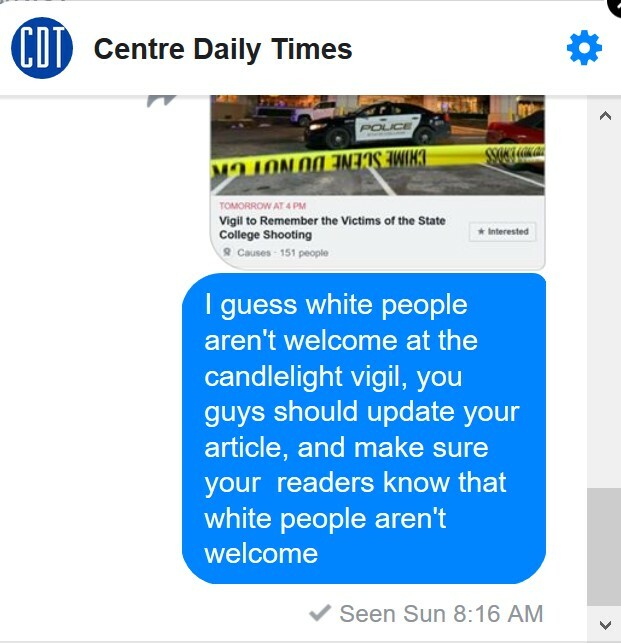 On January 28th, 2019, a far left leaning political activist group known as “Standing At the Gates For Justice” hosted what the media dubbed as a “candlelight vigil” for the victims of State College shooting tragedy that claimed 4 lives. Many have wondered why the vigil had such a small turnout. 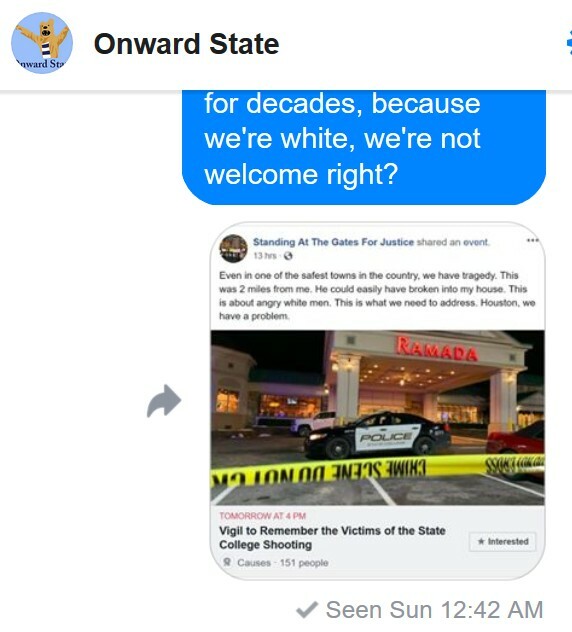 Don’t people in State College care? 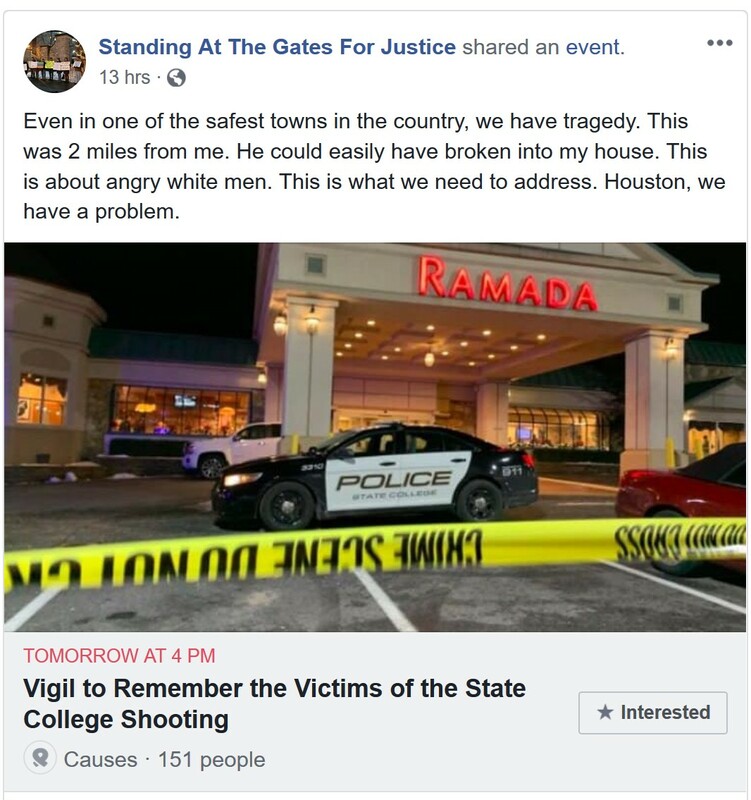 So you be the judge, does this sound like a vigil for the victims of any shooting to you? 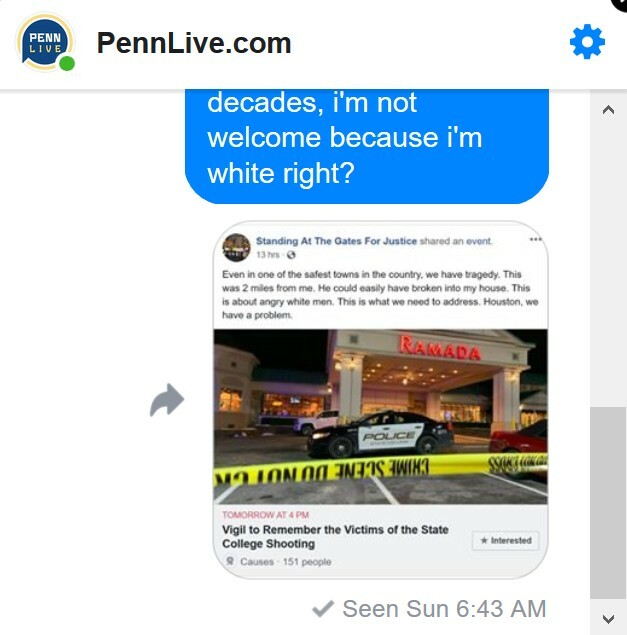 Also if the shooting is about the victims, and not your interests, then why do you feel the need to wear hats representing your political activist group? It’s not about you!